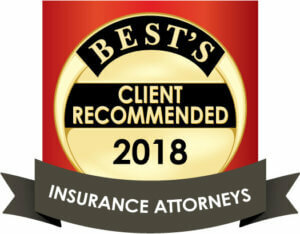 Virginia and Mid-Atlantic Insurance Defense Attorneys Midkiff, Muncie & Ross, P.C., comprised of seasoned attorneys, has extensive experience in insurance defense. We are dedicated to insurance companies and self-insured entities in need of aggressive representation. We fight for the rights of insurance companies, insured and self-insured entities. These companies have a right to aggressive representation. We are detail-oriented and legally savvy. We get to the facts of the case and dedicate ourselves to our clients to find the best resolution to each and every case we handle. Charles F. Midkiff, James G. Muncie Jr., Robert Tayloe Ross, James C. Shannon, Gina Policano, Robert Reverski and Larry Dickinson at Midkiff, Muncie & Ross, P.C. have defended insurance companies in thousands of cases, including hundreds of mediations and jury trials. They have represented clients including governmental entities such as the City of Richmond and the Commonwealth of Virginia. In addition, all have a wealth of experience in mediation as a process to resolve litigation.